Seawalk North at 1625 Hornby Street. 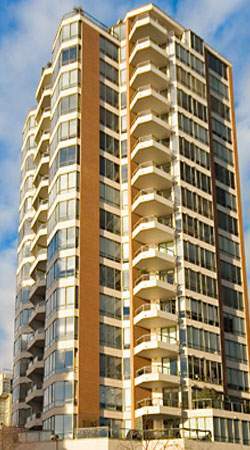 Located close to Stanley Park Seawall, downtown, water taxi to Granville Island, Aquatic Centre, Sunset Beach and restaurants. The complex facilities include sauna, whirlpool and exercise room. Some units feature views of False Creek and Granville Island. This complex consists of 63 residential units and 2 commercial units.